Iron man and Whiplash are rivals and sworn enemies. Re-imagine and re-enact their battles! Featuring your favorite hero and villain combos, Marvel Finger Fighter 2-Packs come with two Finger Fighters that conveniently fit on your fingers, allowing you to take their battles anywhere. 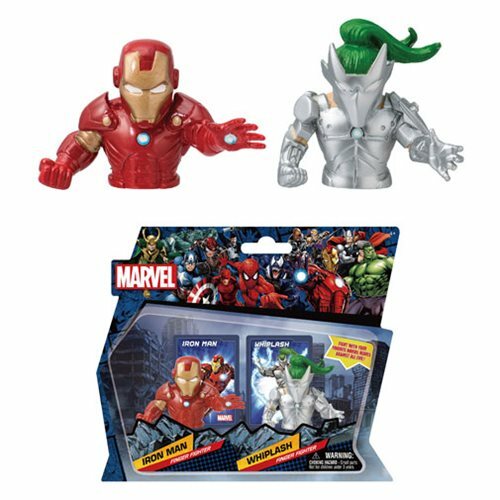 This Marvel Iron Man Vs. Whiplash Fighter 2-Pack Set #2 comes with one Iron man Finger Fighter and one Whiplash Finger Fighter.